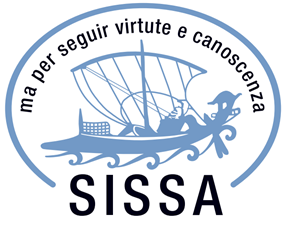 SISSA, the International School for Advanced Studies, was founded in 1978 and is a scientific center of excellence within the national and international academic scene. Located in Italy, in the city of Trieste, its three main research areas are Physics, Neuroscience and Mathematics. SISSA, the International School for Advanced Studies, was founded in 1978 and is a scientific center of excellence within the national and international academic scene. Located in Italy, in the city of Trieste, it features 82 professors, 97 post-docs, 283 PhD students and 114 technical administrative staff. The three main research areas of SISSA are Physics, Neuroscience and Mathematics. All the scientific work carried out by SISSA researchers is published regularly in leading international journals with a high impact factor, and frequently in the most prestigious scientific journals such as Nature and Science. The School has also drawn up over 150 collaboration agreements with the world's leading schools and research institutes. Technology and knowledge transfer is a crucial and strategic activity within the more general mission of creating innovation and guaranteeing valorization of research and talents. It includes a wide range of activities and it is closely related with the so-called third mission of the School, together with Teaching and Research. Building relationships, partnerships and trust between industry and academia is a focus point for SISSA. NOVEL TREATMENT FOR GLIOBLASTOMA - "Innovative Gene Therapy Approach for Tumor Eradication"